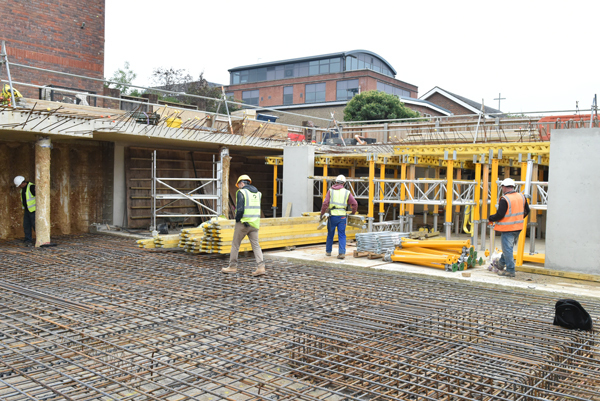 Piled structural foundations, 5 storey reinforced concrete frame structure to accommodate 43 new one/two bed apartments. The development also includes parking areas and a communal soft landscaped area. 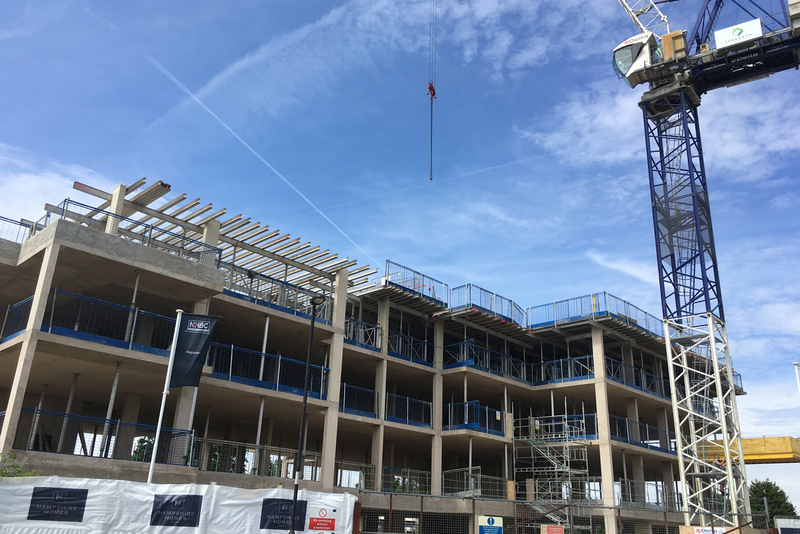 Our client Hampshire Homes was appointed by Radian Homes to construct 43 new apartments for release in Summer 2018. The site was formally used as a Wolseley Pipeline Depot with mainly single storey buildings of about 9000 sq ft. Situated immediately to the north of the property is a recently built Care Home and to the west there are extensive playing fields and the New Windsor Community Centre with children’s nursery and other facilities. The exploratory holes revealed that the site is underlain by a variable thickness of made ground overlying Alluvium over the Shepperton Gravel, with the London Clay Formation encountered at depth. The water table was noted at 1.9mtr bgl. 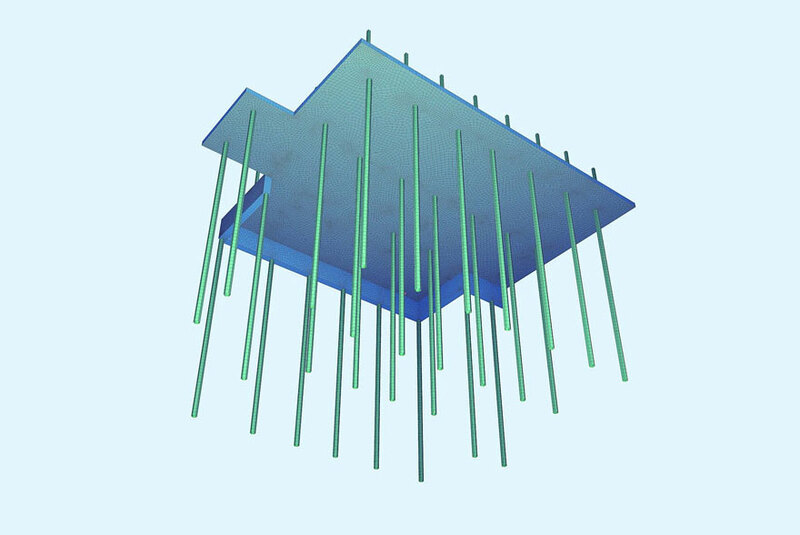 Given the relatively high structural loadings anticipated with the development of this nature and presence of a relatively significant thickness of made ground and Alluvium at the site, it was considered that shallow foundations will not be appropriate for the development, therefore piled foundations were specified. 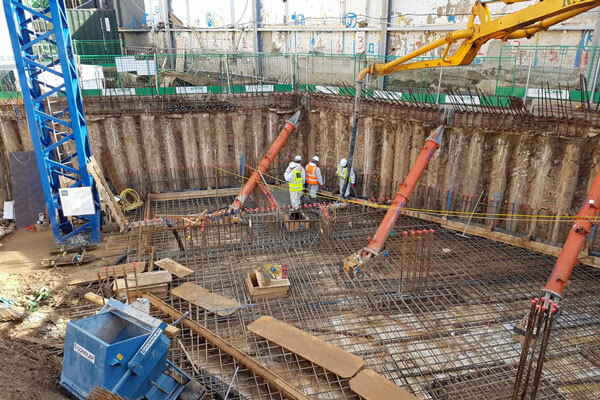 Design and installation of 300mm diameter bearing piles to accommodate working loads up to 440KN, pile lengths installed varied from 5mtrs-23mtrs. 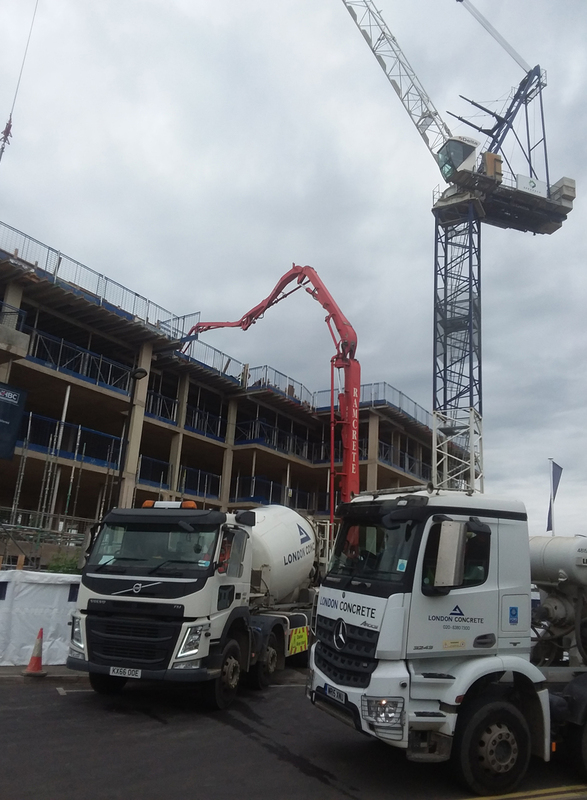 Design and installation piled crane base; 1400mm deep reinforced concrete crane base supported by 15 number bearing piles to support Terrex CTL 140-10, 40mtr jib, 24.1mtr tower height. Installation of reinforced concrete pile caps, ground beams, lift pit bases including reinforced starter bars cast with RC40 concrete. 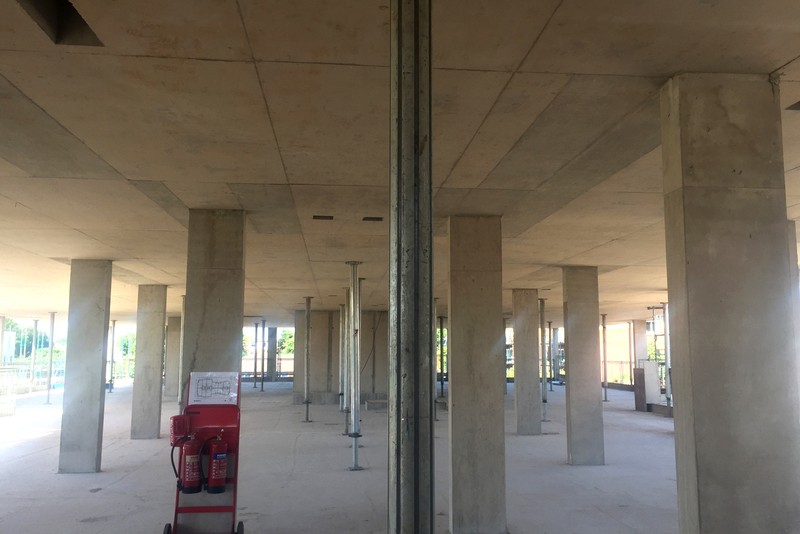 Installation of ground floor 220mm deep reinforced concrete slab, allowing for perimeter downstand and toe details to pick up external brickwork skin, wall/column kickers to pick up verticals to 1st floor soffit. 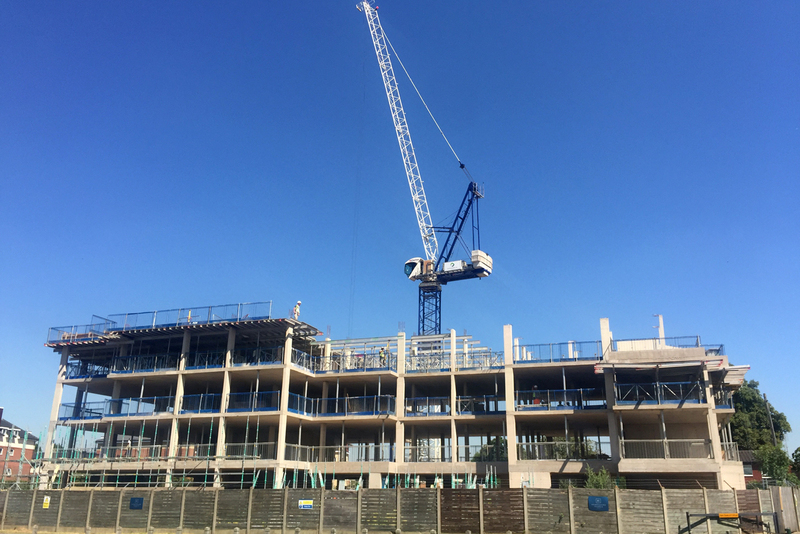 Installation of reinforced concrete columns, walls, lift core, slab and transfer slab, cast in balcony connectors as specified by consulting engineer for 1st, 2nd, 3rd, 4th floors and roof, each floor was typically 995m2 in size. SPEEDECK provided 24.1mtr high tower crane for the duration of ours works to enable us to work efficiently without delay. Installation of site drainage and storm water design to include; Pipework, rodding eyes, inspection chambers, connection of new services to existing including road management during works external to the site, pumping station including chamber, soakaways (polycell crates). Carryout external works once superstructure was completed; Tarmacadam Binder Course; 80mm thick to roads and pathways, permeable block paving to car parking areas, Kerbs and edging, formation of new cross 12mtr wide, laying of topsoil to soft landscape areas. 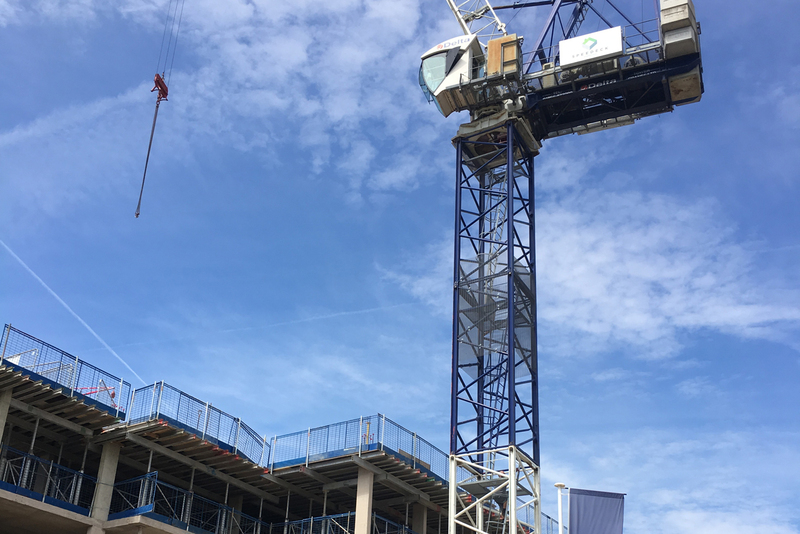 By appointing SPEEDECK for the substructure and RC frame element of works, we delivered the specified works ahead of programme whilst reducing our clients risk of appointing, coordinating the integration of specialist subcontract packages. 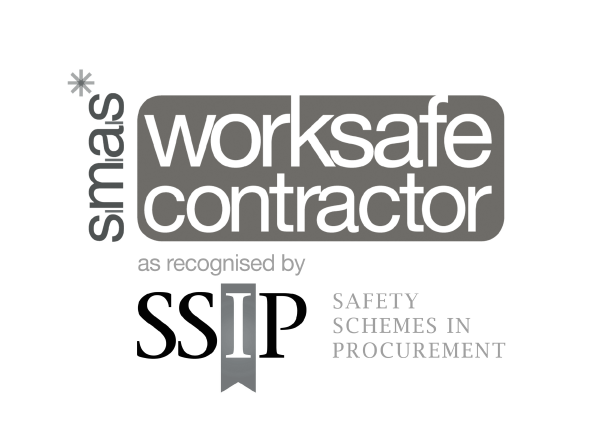 A design and build foundation solution provider who specialises in new build residential & commercial structures.